The nasal endoscope is a small, lighted metal telescope placed into the nostril. The endoscope allows the surgeon to see inside the nose and sinuses, usually with a special video camera attached to the endoscope. It is performed through the nose, without face or mouth incisions. Endoscopic sinus surgery is typically done with minimal nasal packing, mild pain, and short recovery times. Endoscopic sinus surgery is used to treat “chronic rhinosinusitis”, or more commonly “chronic sinusitis” which is chronic inflammation (swelling) of the nose and sinuses that does not improve sufficiently with medical treatment. Chronic means that the inflammation remains in the nose and sinuses and does not go away over time (usually for at least 3 months). One of the most important benefits of surgery is the ability to deliver medications (sprays, rinses, nebulized drugs) to the lining of the sinuses after they have been opened. Sinus surgery is done in addition to, and is not a replacement for medical treatment of the sinuses. 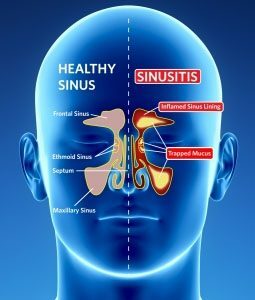 For some patients, surgery may not be a cure for sinusitis but is one of the many critical steps in managing sinus disease. Sinusitis is an inflammation of the sinus lining. The sinus opening can become blocked due swelling and normal mucus drainage may not occur. This can lead to sinus infections and painful symptoms. These symptoms if acute can last for up to four weeks or up to 12 weeks or longer, if chronic. A cold or allergy attack can often occur before sinusitis because they may lead to inflamed sinuses. Surgery for the sinuses is done when the symptoms can’t be controlled with medications and other treatments. The most common type of surgery for the sinuses is called endoscopic sinus surgery, because a pencil-sized scope (“endoscope”) is used to see inside the nose and sinuses and guide the surgery. The purpose of the surgery is to widen the natural drainage pathways between the sinuses and the nose, allowing mucus to get out of the sinuses and air to get in. Medications that are delivered to the surface of the nose and sinuses, like sprays and irrigations, can get into the sinuses better after surgery as well. Endoscopic sinus surgery may be done under local or general anesthesia. Sinus surgery on average takes 1 to 1 ½ hours and depends on the procedure. The surgery involves the use of a small telescope (nasal endoscope) that is inserted through the nostril to view your nose and sinuses. 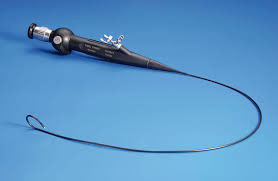 The endoscope will help identify the channels that connect the sinuses to the nose, enlarge these narrow openings/channels, and improve the drainage from the sinuses into the nose. Sinusitis may affect some or all of your sinuses. An examination and CT scan will determine which sinuses need to be opened. 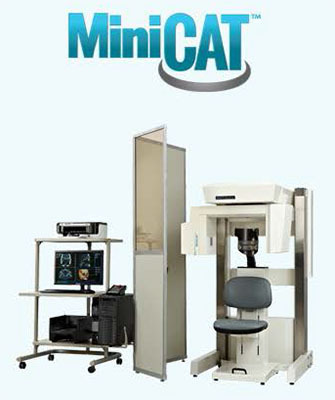 The CT scan will be done in- office with the fully accredited Xoran Mini-Cat CT Scanner, which makes getting CT scan results aster and less costly. Generally, postoperative discomfort, congestion, and drainage should improve after the first few days, with mild symptoms sometimes lingering several weeks after the surgery. Medications such as saline rinses, nasal steroid sprays, and possibly antibiotics may be prescribed. The recovery period will vary depending on the surgery performed and the individual patient. Many people do not have much pain after sinus surgery, but every patient is different. Depending on the extent of your surgery, you may be prescribed stronger pain medicine. The cost of this procedure depends on your insurance coverage and you should check with your insurance company about the extent of your coverage. For those with Medicare, it does cover the Endoscopic Sinus Surgery.